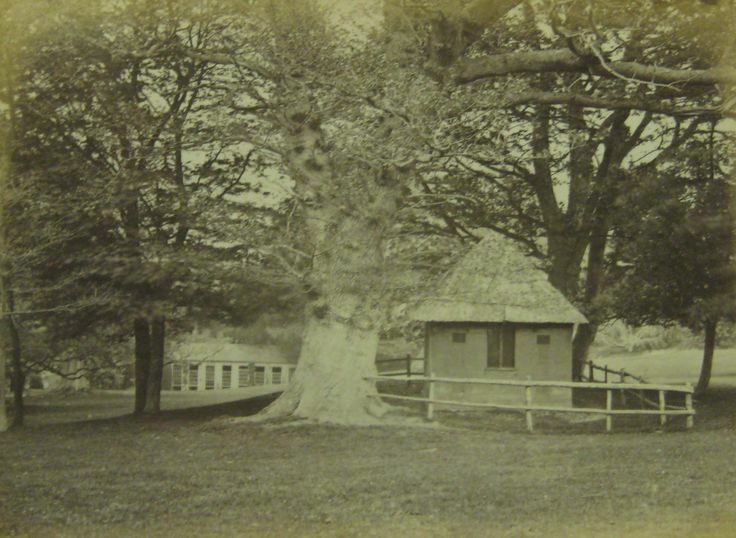 The Venison Hut, located in the South meadow of Halswell Park between the house and Robin Hood’s Hut on the crest of the hill, had all but disappeared completely by 2010. All that remained was a broken up flagstone and red brick floor and a pile of rotted eighteenth century timbers, some with paint fleck and old nails. Luckily these few remaining fragments were enough to piece back exactly the dimensions of the original building as well as its wooden structure. 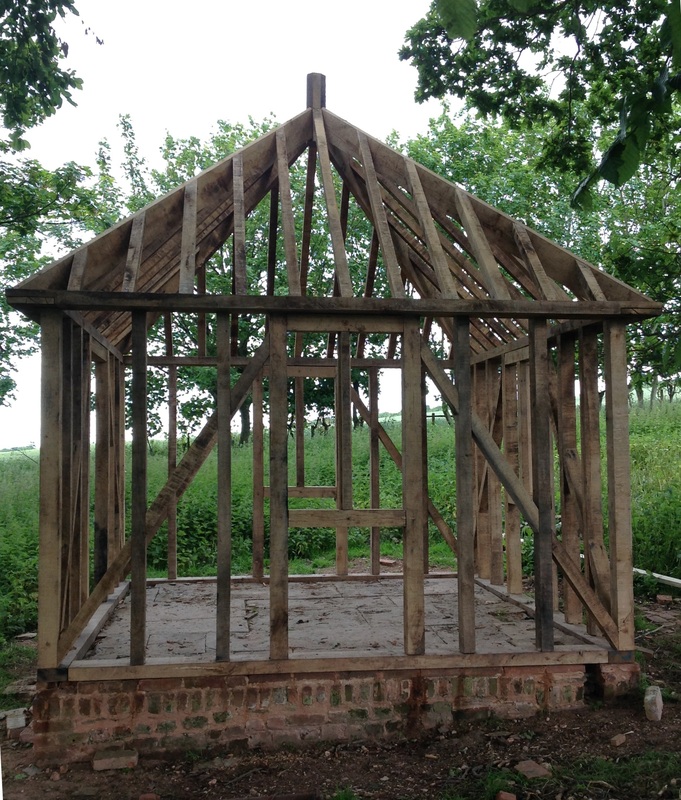 Enough remained that our on-site carpenter, Mr Mike Bridgwater who lives in Dormer House within the old Halswell estate, was able to precisely reproduce the building using traditional methods, materials and to the original specifications. 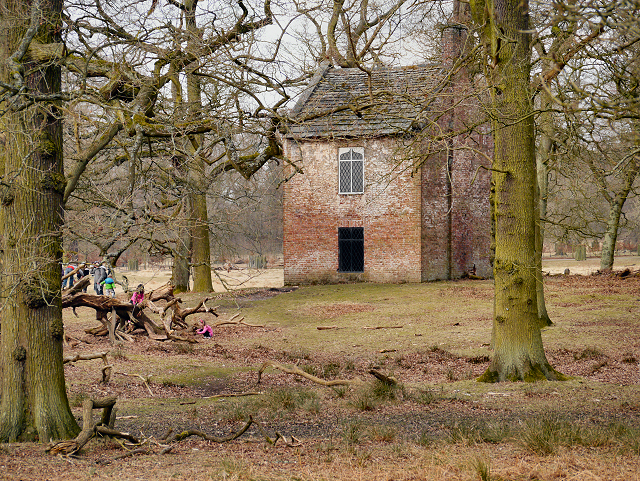 Though the building does not appear on the eighteenth-century estate maps this seems likely to be an oversight due to its size and location under the large branches of some very early chestnut and oak trees. The building is due to be completed in the more clement weather of next spring, 2016, when its traditional weatherboarding is attached and the thatched roof is completed. 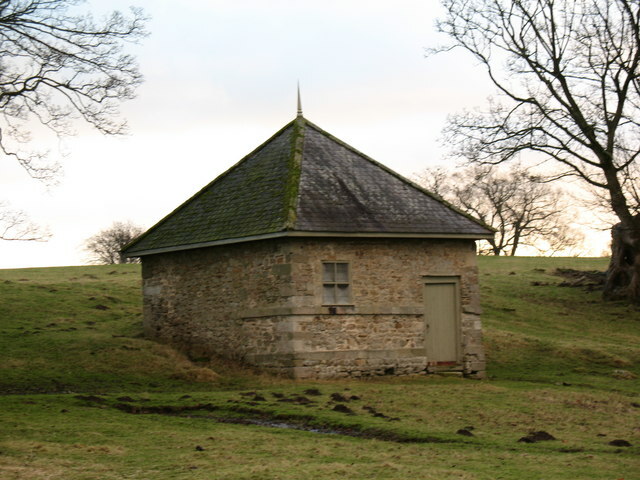 The park may one day again see deer roaming through its fields, however the venison hut’s function as a larder to hang slaughtered deer is unlikely to see such a revival. 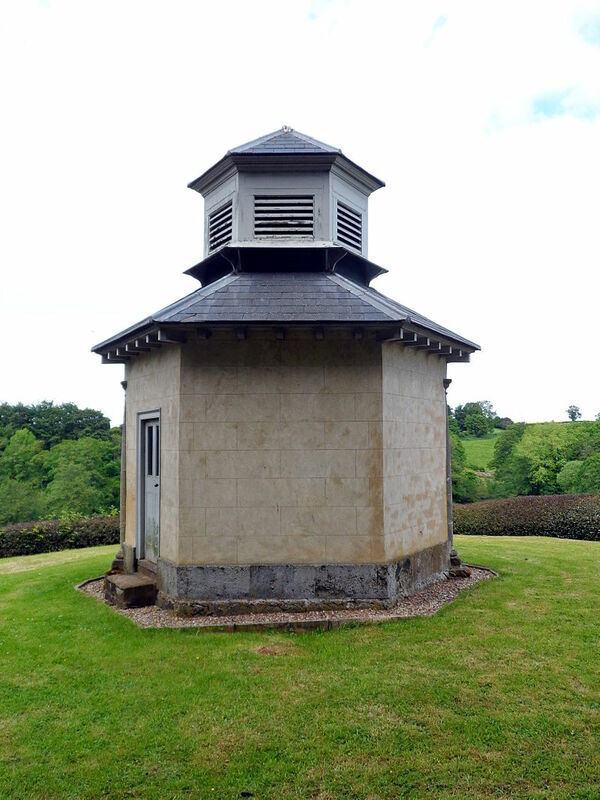 The hut is in an ideal location as a viewing folly, commanding wonderful views over the Halswell estate and across the countryside out over the Bristol Channel and beyond to Wales. As such it will become a resting place hung with antlers for walkers or riders on their tours of the parkland. 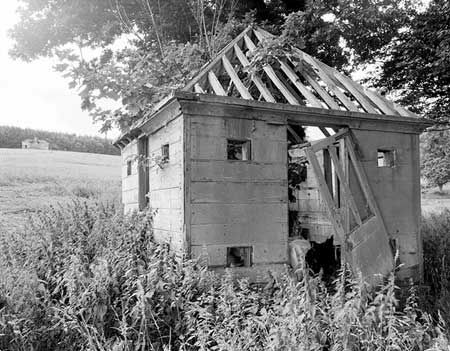 The Halswell Venison Hut, 2015, during re-construction by carpenter Mr. Mike Bridgwater. 1980s, with the then ruinous Robin Hood’s Hut beyond. 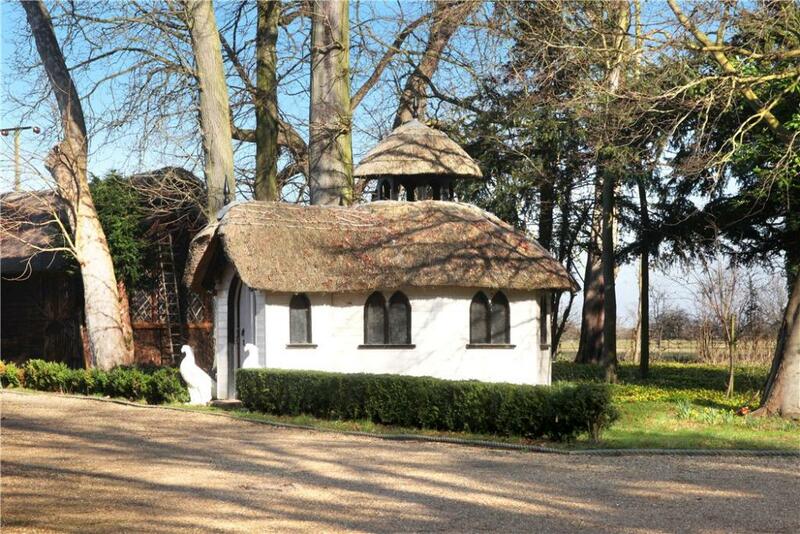 1960s, languishing amongst the quizzical cattle, it retains its thatch after decades of neglect but has lost its function as working and decorative part of an ancient deer park. 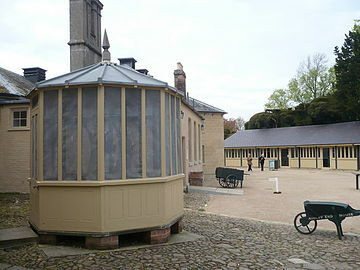 1890s, with the demolished Orangery beyond. 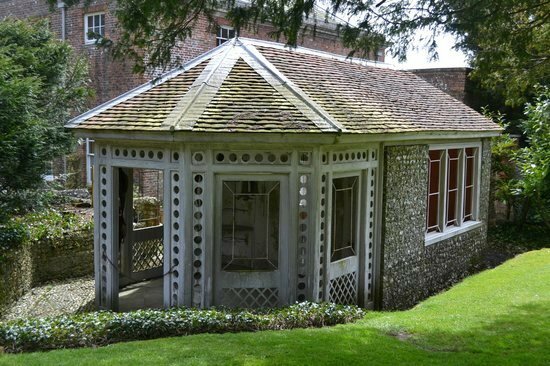 Venison Huts, or Larders, were usually built of stone or brick, though a few were wooden, as at Audley End House in Essex, Sherborne Castle in Dorset and Halswell House in Somerset. 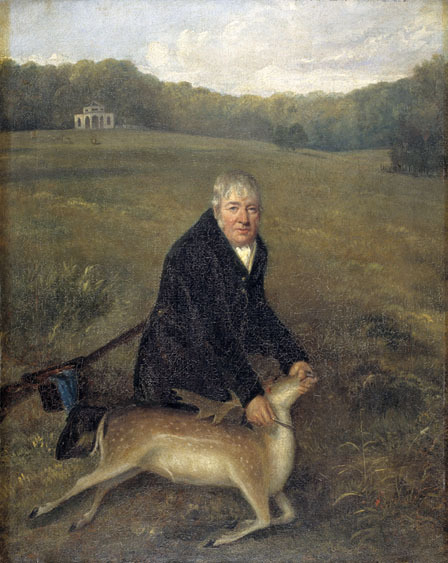 Most were functional in appearance, while others – such as at Uppark in Sussex – were quite decorative. The following group of buildings were built for decoration as well as function. 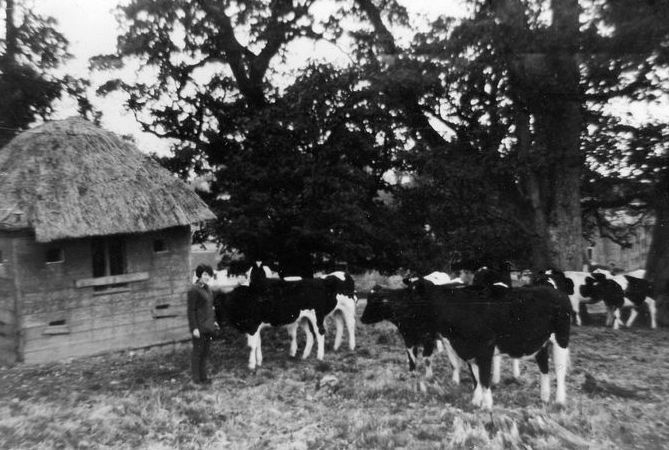 The Halswell Venison Hut, like the Halswell Gate Lodge in Goathurst Village, was thatched on top and had cobblestones outside, styled to evoke the rural pastoral idyll so fashionable in the eighteen and early nineteenth centuries. 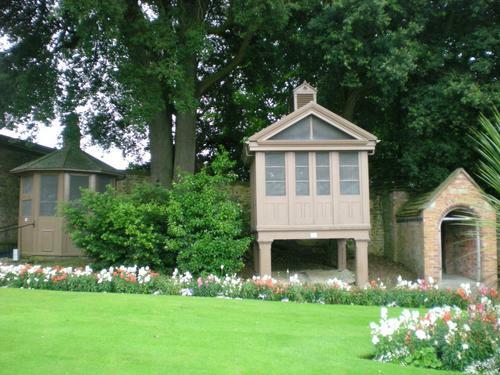 The curious octagonal game larder at Audley End House in Essex – made of wood (note the brick piers keeping it off the ground, to avoid rot and help keep out rodents). 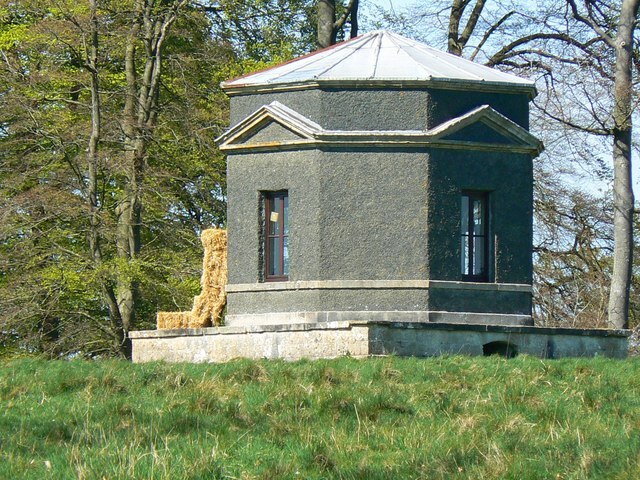 The delightful, near-fantasy octagonal game larder at a now-demolished house at Bromham in Wiltshire. 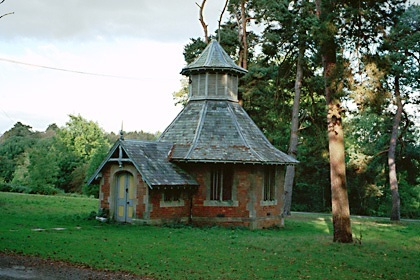 It’s so wonderful that you are restoring the Venison Hut at Halswell. I had no knowledge of the existence of game larders before reading your article here, so thank you for that. I look forward to seeing the completed Venison Hut next year, whether in photographs or “real life”. I wonder now if Halswell has an icehouse. Dear Simi, Thank you so much for your kind comments about the deer hut article! 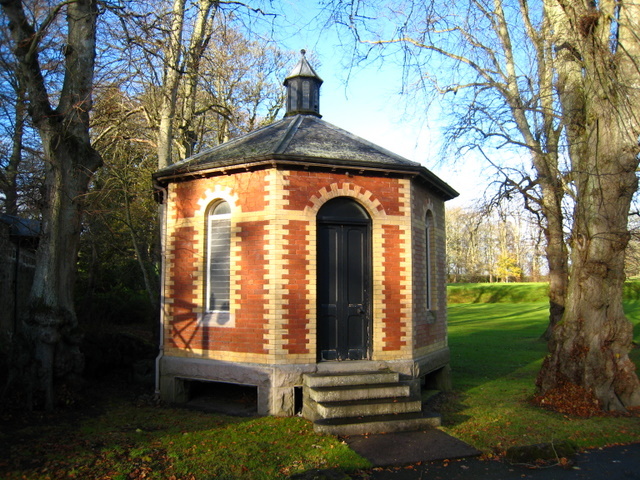 As to an ice house, please have a look at the Rotunda article, we will add more about ice-houses at a later stage. Ah, yes, thank you, Roy. I have just spotted the cone icehouse under the Rotunda. Quite fascinating! I am so very pleased that Halswell is being so systematically and sensitively restored. 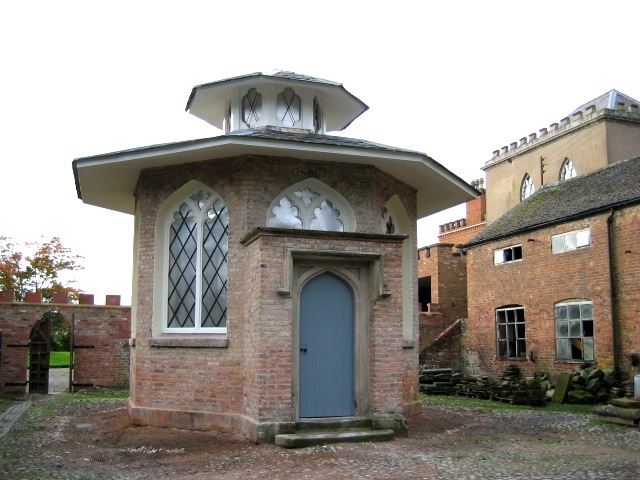 This website is a fantastic resource for informing the interested public of both the progress of restoration and the history behind the various structures, giving a valuable insight into the life of the house.